Carpet cleaning can be a daunting task if you do not know how to do it the right way. Apart from being a waste of time, a badly cleaned carpet will not clean up, retain an unpleasant odor and will simply wither away the ambiance of your house. There are procedures involved in cleaning out the dirt, dust mites and spots of a carpet that requires lots of patience, skill and specialized equipment. This is where we come in, to give you the best results for your carpet and to secure the feel of your home. A professional carpet cleaning company is the best option for your carpet needs. We are certified by the IICRC and CFI. We use advanced truck mounted carpet steam cleaning systems which are environmentally friendly. It absolutely matters which type of cleaning methods a carpet cleaner uses as this will determine the longevity of your carpet, your health as well as your contribution to the conservation of the environment. 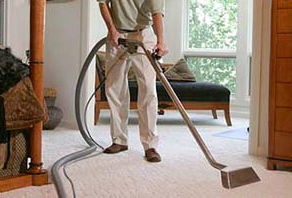 One of the technologies that we use as a professional carpet cleaning company is the steam pressure vacuums. These are environment friendly devices such that they use very little water to clean down every clogged dirt particle from the carpet. The vacuum machine works in such a way that it uses steam injections to emit hot water and our special exclusive cleaning supplies to clean off the blemishes and stains in the carpet. We use these advanced steam cleaning systems to ensure that the amount of water used is sufficient enough such to clean your carpet thoroughly without over wetting. Leaving your carpet clean, fluffy and fresh. After your carpet cleaning has been performed we can add a optional Teflon treatment to help prevent permanent staining, keeping your carpet looking great for years to come. Overall saving you time and money on expensive carpet replacement. As the world is going green we have always utilized the most environmental friendly cleaning supplies. These are exclusive supplies that have been customized not only to clean off the dirt completely but are completely safe for children, pets and the environment alike. Our carpet cleaning supplies are safe, non toxic and bio degradable. Our supplies also take into consideration the after- cleaning smell of the carpet such that your carpet is left smelling fresh and clean with no added fragrances and smells attached to it. We offer high quality residential and commercial carpet cleaning service across the San Diego, Pacific Beach, La Jolla, Chula Vista, Mission Valley, Mira Mesa, Sorrento Valley, Coronado, Solana Beach, Del Mar, El Cajon, La Mesa, Poway, San Marcos, Escondido, Oceanside, Carlsbad, UTC, University City, Little Italy, Scripps Ranch and Vista. The most important part in the whole carpet cleaning services procedure is how to dry your carpet so you can get your home back together in good time. Carpet generally take a long while before they dry, and this may most likely cause you an inconvenience. However, after performing a cleaning job we dry vacuum your carpet so you can have it back in as short as a few hours. Leaving windows open, ceiling fans on will also help ensure a quick dry of your freshly cleaned carpet. A Teflon treatment of your carpet is a great way to help prevent permanent staining and will help us clean your carpet easily in the future. Please call (858) 751-5790 for a high quality, affordable carpet cleaning service today! Up to 2 rooms and a hall. Full service carpet cleaning. Shampoo of carpet, special attention deep stains, spots and traffic areas. Deep truck mount steam cleaning with odor control. Large rooms over 250sq/ft, living room / dining combination rooms count as 2 rooms. Stairs not included with this offer. Steam cleaning of sofa and love seat up to 10ft linear feat total. This offer also includes matching pillows and cushions! Leather sofas and down filled sofas not included with this offer. Ceramic or porcelain tile only. Full service tile steam cleaning, including preconditioning and scrubbing of grout lines. Moving of appliances and furniture is an additional charge.